When the Emanuel German Lutheran Church appeared on the corner of 4th & Carpenter in 1869, the neighborhood looked a little different than it does today. First and most obviously, Carpenter Street ran past the building, uninterrupted. Trains rumbled down Washington Avenue. A large coal yard operated around the corner. And the surrounding architecture consisted of mostly two and three story buildings that were typical of the time. All of those buildings, the coal yard, and the 300 and 400 blocks of Carpenter disappeared by the early 1960s, when PHA built the Southwark Plaza housing project, which consisted of three apartment towers. 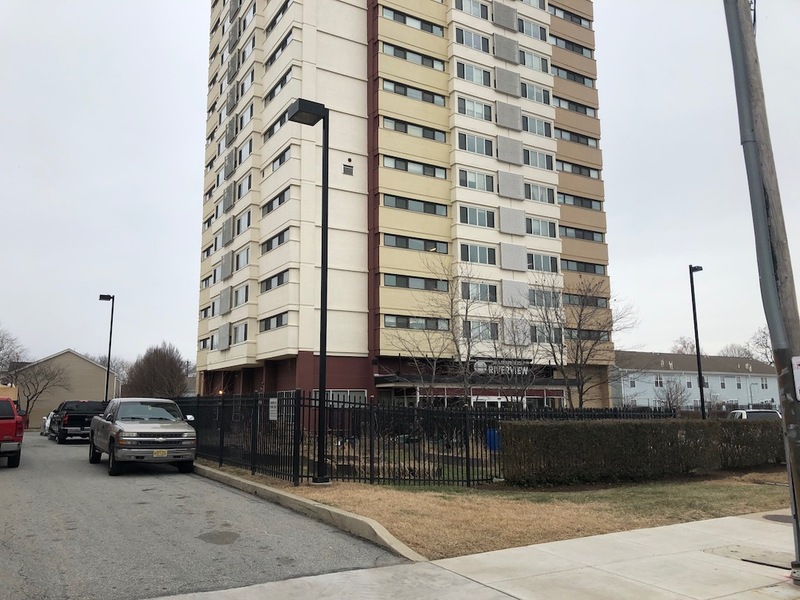 Two of those towers were torn down about twenty years ago, with a collection of low-rise PHA homes built in their place, and the third tower was converted into senior housing. Through all of these changes to the neighborhood, the historic church has remained. When the church was founded, it catered to German Lutherans, as you might guess from the name. Over the years, the German Lutheran population dwindled, and and the church began offering services in english, right around the time the Southwark towers went up. 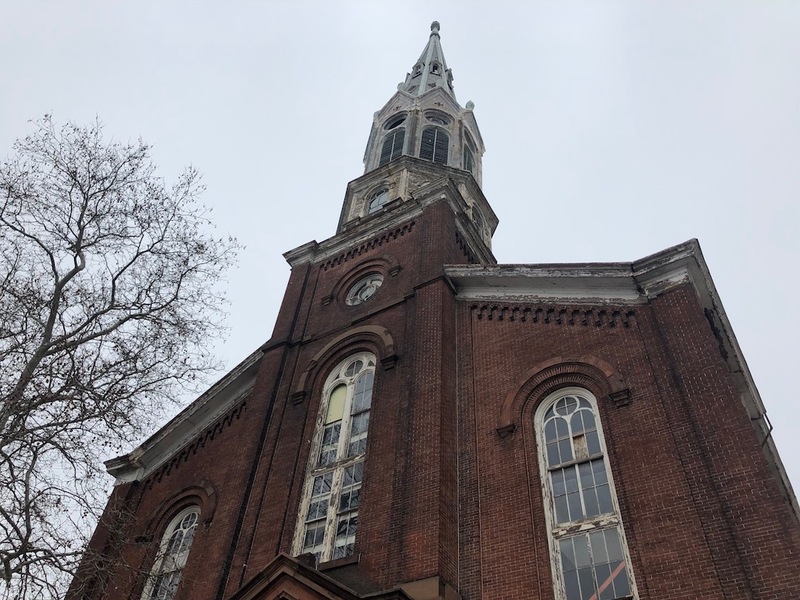 Per Philaplace, the church continued to operate over the next several decades, though it faced challenges with maintaining its large and aging edifice. Finally, the congregation sold the building to a Buddhist Temple in 2008, moving to a new location a few blocks to the south. You can see from the outside, the building’s new occupants similarly struggled to maintain it. That could be the reason that the property went on the market last year. 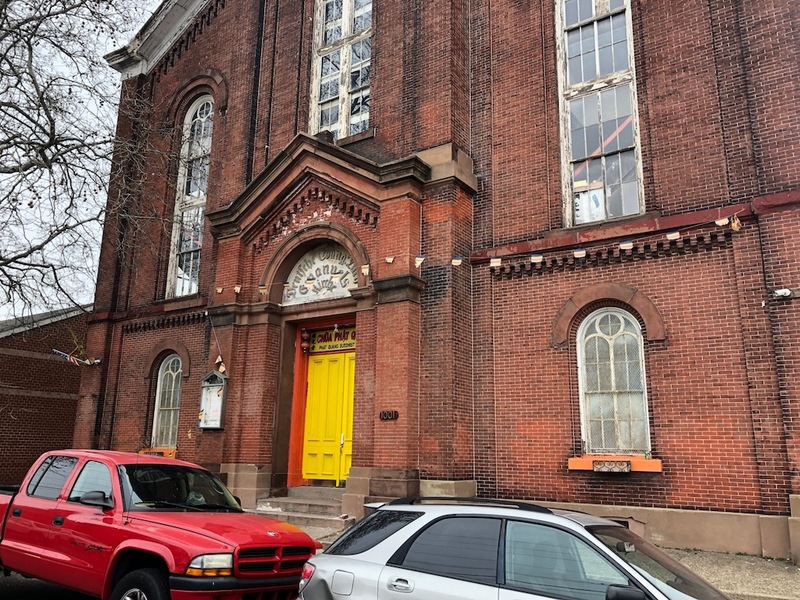 Originally listed for $3.4M, the building ultimately sold this month for $1.675M- and the new owners are developers, not a religious group. 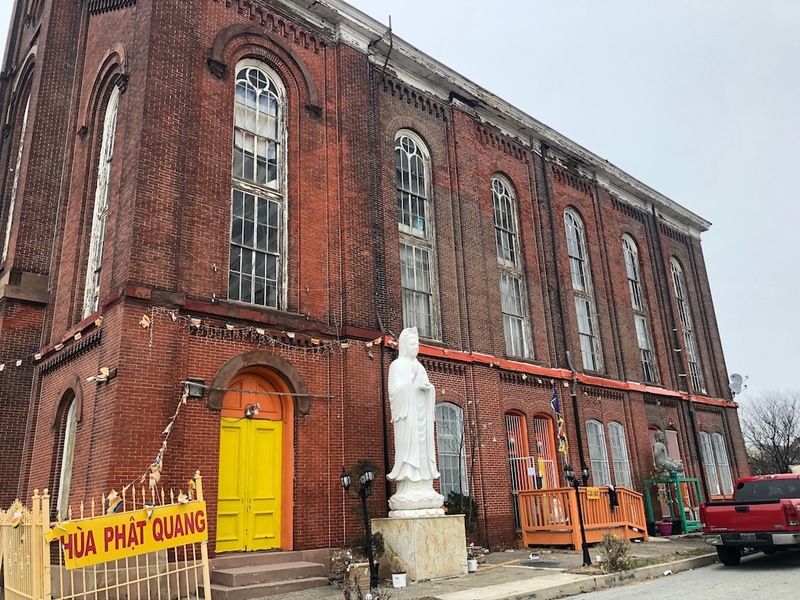 Your first thought might be that these developers will seek to tear down the church, but fear not, they are instead planning on adaptive reuse. Looking at public record, we see that they have pulled a by-right permit to convert the religious building into a 40-unit apartment building. This project will be quite complex, and will entail turning the two story building into a five story building by adding interior floors. All the while, the developers will be very limited in terms of what they’ll be able to do with the exterior, as the building is on the local historic register. 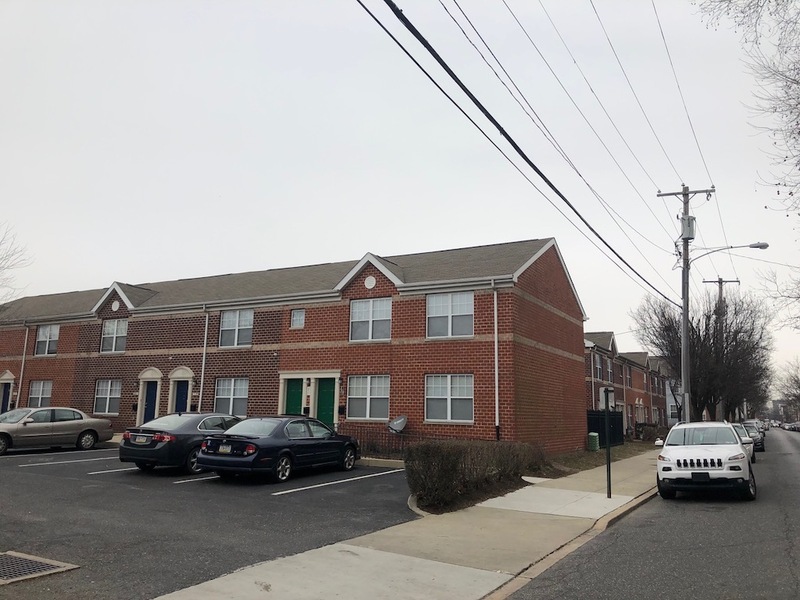 In order to proceed with the project, they needed to file an extensive application with the Historical Commission, and the application was presented last week. We don’t know the outcome of the meeting, but the staff recommended that the project proceed, which seems like a good indication it’ll actually happen. Assuming it got the thumbs up, look for this historic building to stick around, and for a bunch of new folks to move into the neighborhood sometime in 2020. Great! Another example of how some developers are able to make adaptive reuse work. Are we paying attention?? Check out the St. Laurentius church in Fishtown. A developer has been proposing a residential conversion for years, but the neighbors have derailed the project over… parking…. And that church will likely face demolition because it has fallen into disrepair. 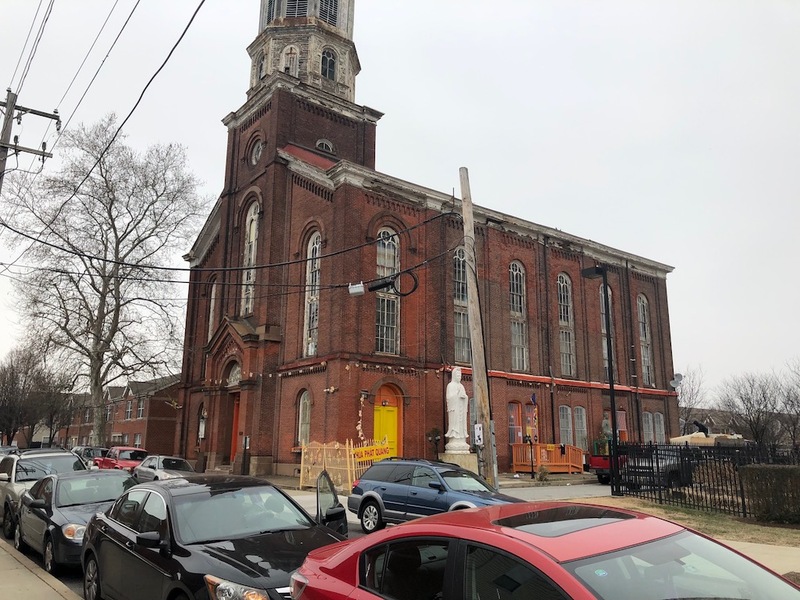 Losing St. Laurentius over parking spaces that ALREADY don’t exist is preposterous. Until the art and history crazies make the vetting of the project cause it to be killed off on the side. Hopefully it’s by right status will give it staying power. Honestly, it’s a little sad the Buddhists couldn’t keep its function as a religious building and restore it in their own style. But, who can complain if the exterior is restored? Great news; glad this beautiful piece of architecture will be reused and continue to contribute to the nice aesthetics/character of the neighborhood. It’s a shame the same couldn’t happen for the developer who tore down that historic one-of-a-kind church at 10th and Christian.